To allow for My Media submissions in Canvas, certain permissions must be set by the instructor. This is a step-by-step guide to setting the necessary permissions. 1. In the Assignments tab, select "New Assignment." 2. Fill in the assignment information including Assignment Name, Description, and Point Value. 3. 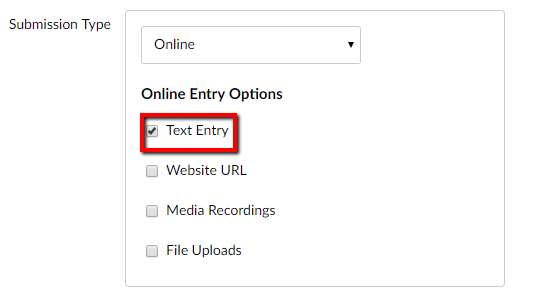 In the "Submission Type," select "Text Entry." This will allow students to upload a My Media file. 4. 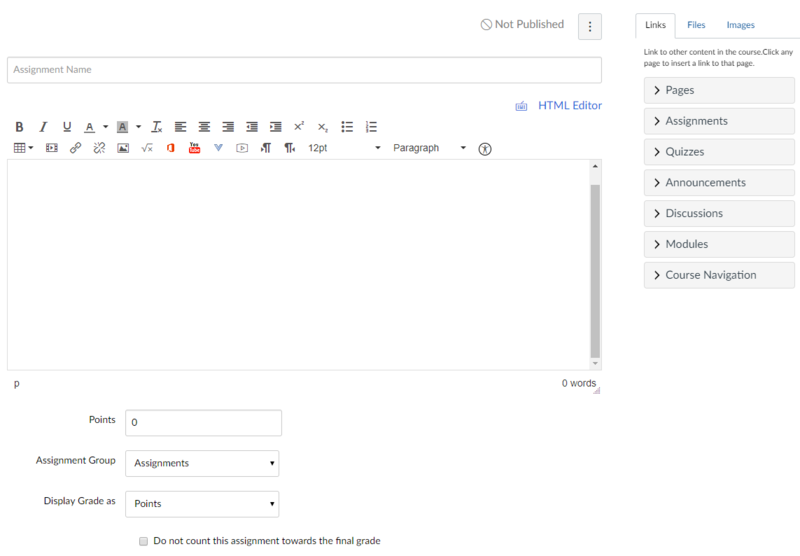 Continue entering the rest of the assignment information, and select "Save" or "Save & Publish."